Recent data on the top 100 medical procedures is available here. The Government will soon release data on yet another 30 procedures. 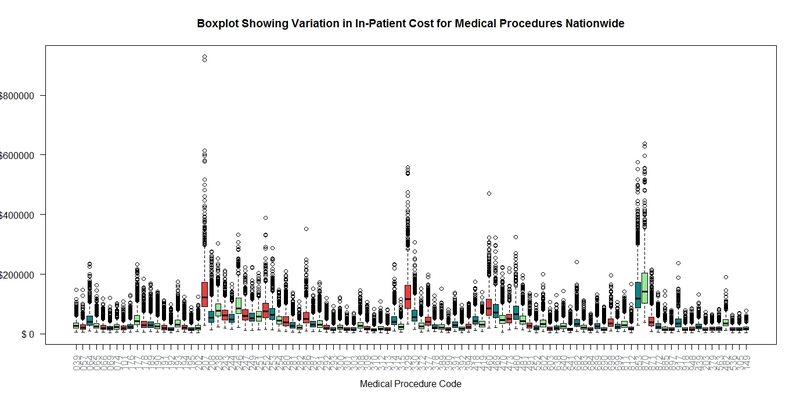 Below is a box plot showing the bewildering variation in in-patient cost for medical procedures nationwide. The R code below can be executed, without changes, to generate the plot above. 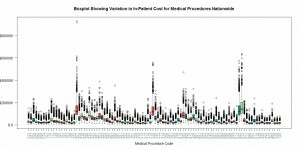 You can also use openrefine to discover that a medical procedure with code 207 can cost up to a million dollars! # represent almost 7 million discharges or 60 percent of total Medicare IPPS discharges.